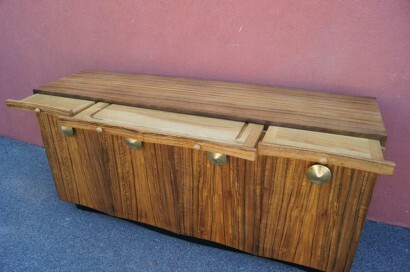 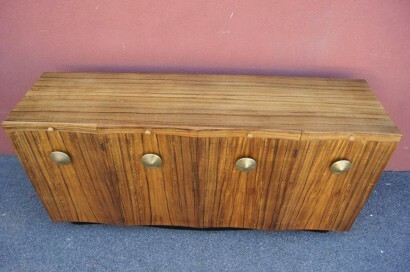 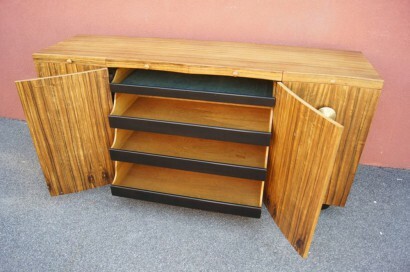 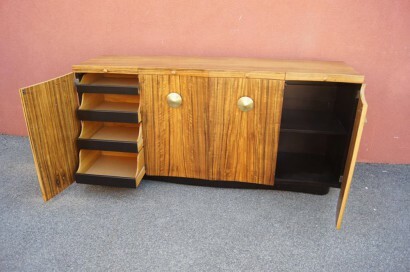 Gilbert Rohde designed this buffet, model 4190, for Herman Miller using highly grained paldao wood from the Philippines. 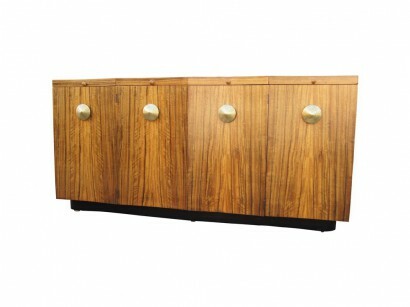 Behind four scalloped doors are numerous drawers, four of which are cork-lined for glassware and one velvet-lined for silverware, as well as additional storage. 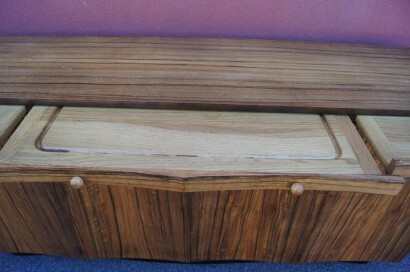 On either end, two pull-out boards of unfinished oak serve as cutting boards; one large grooved pull-out board in the center serves for meat and cheese. 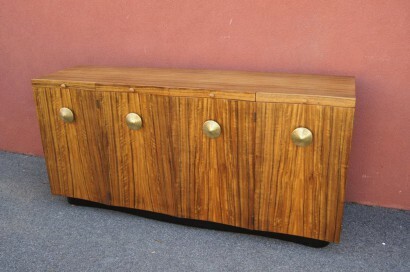 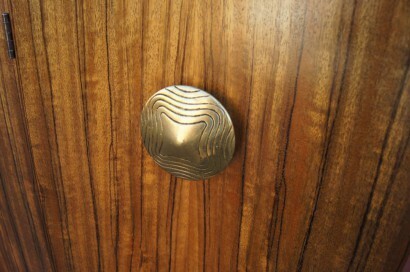 The entire case sits on a plinth base and the doors feature striking brass pulls.